Consists of family correspondence and documents (1813-1890) of the Blanckley family, centering on Henry Stanyford Blanckley (1752-1820), British consul in Algeria and the Balearic Islands, and his children and grandchildren. Materials also document the Tonna, Philippides Cammenos, Androutsos, and Rogers families in Great Britain, Malta, the Balearic Islands, France, and Greece. Francis Catlin was a member of the Princeton University Class of 1947. The collection contains materials distributed at the 1947 Bicentennial Convocation celebrating Princeton University’s 200th anniversary. Frederick Quellmalz Jr. was a member of the Princeton University Class of 1934 and one of the founding members of the Princeton Camera Club, a student organization devoted to photography. This collection consists of print photographs and negatives primarily from the 1930s taken by Quellmalz Jr. and other Club members. Manuscript compendium of medical texts from mid-15th century Augsburg, Germany, composed of writings in Latin and German on gynecology, blood circulation, pharmacology, and other topics. Gisèle Freund (1908-2000) was a German-born French photographer and photojournalist best known for her portraits of writers and artists of the 20th century, as well as for her documentary photography. The collection consists of her correspondence from 1959 to 1986 with her New York-based literary agents, Marie Rodell, Frances Collin, and Joan Daves, as well as her literary agents’ correspondence with others involved in the publishing of her works and some related chapter drafts, publishing agreements, photograph lists, and publicity materials. This collection contains personal correspondence between Holly Beach Dennis and her son, Frederic Dennis. Included in the collection are 37 letters and two photographs of Holly Beach, and her younger sisters, Sylvia and Cyprian. Pedro Consuegra is a Cuban born French choreographer. His papers include postcard correspondence with Néstor Almendros, German Puig Paredes, Severo Sarduy, and others. The papers also include original issues of SIE, a handwritten underground tabloid, or zine, Consuegra edited for and about gay Latin American expatriates living in France. Princeton Action for Chile (PAC) was a student organization established in October of 1976 following the assassination of Chilean diplomat Orlando Letelier in Washington, D.C. The collection consists of flyers, newspaper clippings, correspondence, and publications collected following the assassination that document resistance and responses to the Chilean junta under General Pinochet. 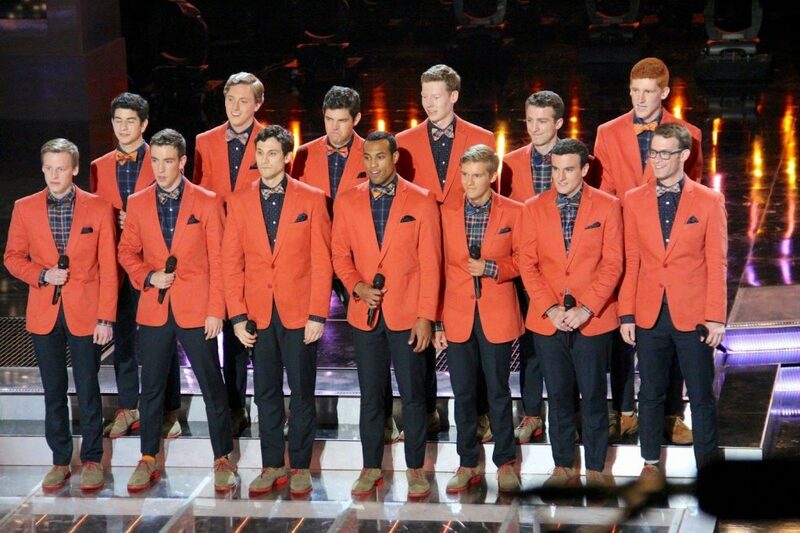 The Princeton Footnotes is an all-male a cappella group at Princeton University that was founded in 1959. The organization that became the Footnotes emerged as a dispute within the Glee Club, which resulted in twelve of the Club’s members leaving the Club to form a separate group, the Prospectors. The Princeton Footnotes Records consists primarily of digitized recordings of former Footnotes albums released between 1961 and 1987. Consists of over 150 manuscript and printed documents related to the institution of slavery in America that were collected from various sources by Francis C. Brown (Class of 1958). Materials pertain to slavery in Louisiana and, to a lesser degree, in Tennessee, Kentucky, Maryland, Alabama, Virginia, Mississippi, Missouri, New York, New Jersey, and the Carolinas, with a few documents relating to the Caribbean and West Africa. While many documents relate to the slave trade and enslaved persons from the perspective of plantation owners and slave traders, others depict resistance to slavery and the lives of free people of color. Charles Ruas is an American author, interviewer, editor, literary and art critic, and French translator who served as the Director of the Drama and Literature Department for New York’s Pacifica radio station WBAI-FM in the 1970s. Recent additions to the papers include a group of photographic materials, including shots taken in the WBAI studio in New York City, as well as promotional photographs and portraits gifted to Ruas by authors and artists with whom he worked; also additional drafts of writings by Ann Arensberg, Marguerite Young, and others. Additional materials include a sizeable collection of travel slides from Wahl and Sarduy’s vacations and other audiovisual materials such as photographs, negatives, and the description of 43 audio cassettes. The audio cassettes will be digitized as part of the Latin American Collections Audio Pilot. A recent addition to this collection of correspondence, writings, notebooks, photographs, and printed matter of the Czech art historian, architect, author, and educator Paul Frankl (1878-1962) consists of two boxes of additional corrected typescript drafts of Frankl’s The Gothic: Literary Sources and Interpretations Through Eight Centuries. Recent additions to this open collection of miscellaneous source material related to Modern Greek studies include letters from artists associated with the Pre-Raphaelite circle, Dante Gabriel Rossetti and Edward Coley Burne-Jones, to members of the Ionides family, a prominent Greek family living in London in the 19th century known for their patronage of the arts. A recent addition to this open collection of manuscript material by and about American attorney, politician, and planter Patrick Henry (1736-1799), consists of three documents (1743-1783) related to the legal status and purchase of lands for Henry’s Leatherwood Plantation in Henry County, Virginia. Additions to this collection of correspondence, notebooks, drafts and proofs of articles and reviews, photographs, documents, and printed ephemera of the English literary critic and editor Raymond Mortimer (1895-1980) include additional correspondence with Nancy Mitford, Janet Flanner, Aldous Huxley, Eardley Knollys, and Rebecca West, drafts of articles and reviews, photographs of Mortimer with friends, and printed materials. Additions to the papers of American writer of fantasy literature, books for children and young adults, and nature books T. A. Barron (1952-) include editions of books from the Merlin Saga and the Atlantis Saga, international editorial correspondence, articles and speeches, video recordings, personal correspondence, and fan mail.